The real evidence for the greenhouse effect. It got dry, and that must be the influence of global warming. Wait--then there were downpours, which proved the greenhouse effect. A monster hurricane crossed North Carolina; global warming must be the cause. No, wait--out comes a book about the most deadly hurricane in U.S. history, which hit in 1900, long before there was greenhouse gas buildup. Snowfall has decreased some in recent years, and that must prove global warming. But wait--when cities were snowed in during the winter of 1996-1997, commentators blamed greenhouse disruption. Annual temperatures have been high during the '90s, so the world must be warming. But wait--when winters were frigid during the 1970s, there were congressional hearings on whether an ice age was beginning. It's hot, it's cold, it's dry, it's wet--and don't get us started on El Nino. As cable TV channels and extended local newscasts increasingly fill airtime by reporting weather details--and even the national networks send their reporters to hurricane areas to scrunch up inside designer slickers and shout, "I think I just felt a raindrop!" --the notion has taken hold that every barometric fluctuation must demonstrate climate change. This anecdotal case for global warming is mostly nonsense, driven by nescience of a basic point, from statistics and probability, that the weather is always weird somewhere. But, even as public attention has fixated on greenhouse claims by anecdote, the less dramatic, technical case for climate change has been gradually strengthening. Artificial warming is far from proven, but today the scientific evidence is stronger than it was five years ago. Most research suggests that a warmer world now seems probable; that altered climate patterns may be in store; that the chance of truly dangerous global warming, though still low, is rising. The worst aspect of attributing every dry spell or cloudburst to the greenhouse effect may be that such reasoning obscures the real concern: that credible signs of climate change are in fact beginning to appear. One reason there is so much flummery in the global warming debate is that the weather in the Northeast United States, where the opinion-makers live, has a disproportionate effect on whether greenhouse concerns are taken seriously. During the summer of 1999, most of the Northeast experienced a drought; and, between July and September, The New York Times' op-ed page ran no fewer than four articles asserting that an artificial greenhouse effect was now proven, in part by dehydration. Then autumn brought drenching rains to the Eastern seaboard. The phase of wetness combined with the phase of dryness to make it an average year for precipitation, the apparent portent having "washed out," in statistician lingo, into normality. This did not prevent commentators from switching to a claim that showers proved global warming. "Go outside: try to understand that the sun beating down, the rain pouring down, the wind blowing by are all human artifacts. 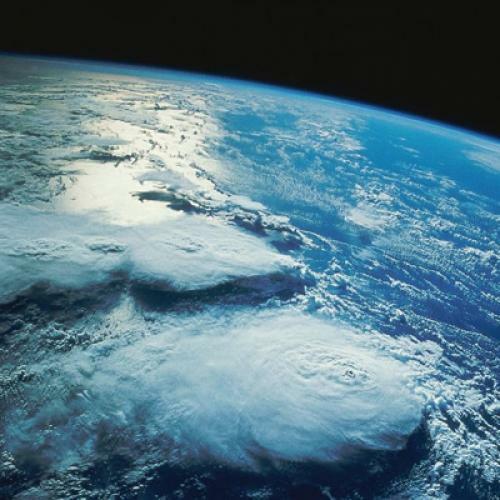 We don't live on the planet we were born on," one Times op-ed declared. Perhaps one shouldn't speak for all Times contributors, but I live on the planet I was born on, and feel it can be said without fear of contradiction that the sun is not a "human artifact." Because weather is short-term and expected to vary, using it to draw conclusions about climate is treacherous. Weather is what happens today; climate is what happens during your lifetime. It is climate, not weather, that society needs to care about. In recent years, whenever a record high temperature is set, it has been common to hear global warming invoked as the reason. But record temperatures, high or low, are statistical "outliers," or nonstandard effects, that rarely reveal anything. The highest temperature ever recorded in the United States was in the year 1913; long before greenhouse gas accumulation began. Europe's record high occurred in 1881, Australia's in 1889, South America's in 1905, Africa's in 1922. Hurricane incidence, currently spoken of as disturbingly high, is also inconclusive as an omen of climate change. Distribution of what the National Oceanic and Atmospheric Administration (NOAA) calls "major landfalling hurricanes" is basically equal before and after greenhouse gases, with the 1910s and '20s having about the same number of major Atlantic cyclones as the 1980s and '90s. A devastating hurricane, Andrew, struck in 1992, and an abnormally large hurricane, Floyd, arrived this year. But the strongest U.S. hurricane ever was in 1935. Hurricanes became a media obsession in the mid-'90s, when there were two consecutive above-average years for such storms. But those years stood out mainly because most of the period from 1964 to 1994 was below the historic average; commentators had forgotten how frequently hurricanes can occur. Tornadoes are currently on a frightening upswing: there were more of them in the fourth quarter of 1998 than during any previous quarter in the nation's history, while January 1999 saw the most U.S. tornadoes ever in a single month. This is a somber concern for those who live in tornado zones, but does it suggest global warming? Greenhouse effect theory calls for warming mainly in high latitudes, which should reduce the poles-to-equator temperature gradients that power storm formation; a greenhouse world might have less violent weather. Charts of tornado incidence in the postwar period show 1998 and 1999 spiking up out of nowhere, not representing any slow-building trend; what's happening may be a harbinger, or it may be random variation. Another popular assertion regarding global warming is that rising insurance claims from weather-related damage show that dire news is afoot. The National Environmental Trust, now running greenhouse effect ads asserting that "the weather has been pretty weird," claims that "severe weather events have cost $272 billion in damages in the '90s." Never mind that the National Climatic Data Center (NCDC) puts the figure at $170 billion; maybe somebody has been inflating claims to the insurance adjusters. The NCDC figure represents an enormous tab and a historic high. But ever-rising insurance claims might be expected in an affluent society where property grows steadily more valuable and a leading construction trend has been building high-end housing in coastal areas, the places most susceptible to storm damage. The most dubious assertion made about global warming is that it must be happening because computers think so. Several scientific centers around the world now run "general circulation models" (GCMs). These computers, which are important research tools, simulate the atmosphere, and every GCM predicts a warmer future. But the Intergovernmental Panel on Climate Change (IPCC), a U.N.-sponsored scientists' organization that is the leading player in the study of the greenhouse effect and is generally toward the left of the debate, issues regular warnings that GCMs are, at best, approximations. Computational power, even that of advanced supercomputers, is still too modest to recreate a system as complicated as global climate; greenhouse GCMs can't yet take into account basic considerations, such as the role of clouds. Right now, one GCM, at the Goddard Institute for Space Studies, is predicting that a rapid global temperature rise will occur during the next decade; other GCMs are predicting more gradual effects. Overall, as GCMs have improved, the warming they predict has tended to decline. The IPCC's current "best estimate" is that, if existing trends in greenhouse emissions continue, the world will warm by approximately another 3.5 degrees Fahrenheit by about the year 2100--a significant and possibly dangerous figure, but one-third lower than the organization's estimate of a decade ago. There is near-unanimous scientific agreement that the world has gotten warmer by about one degree Fahrenheit during the twentieth century. Worldwide, the decade of the '90s was warm, with seven of the past ten years showing above-average global temperatures. Are these findings the ones that prove global warming? Being a long-term movement, the one-degree twentieth century rise clearly tells us something. The problem is that we don't know what, because it is not yet known what caused the increase. Greenhouse gases from fossil fuels? Ocean current shifts? Fluctuation in the output of the sun? Your guess is as good as the next Ph.D.'s. "There is a scientific consensus that the greenhouse effect is a serious concern, but not on much else. We are in the early days of understanding the global climate," says Michael Schlesinger, a professor of atmospheric sciences at the University of Illinois. Key puzzling datum: Roughly half of this century's warming occurred before 1940, when artificial greenhouse gas levels were not significant. Only slight increases in mean global temperature are what caused the '90s to be the warmest decade "on record," and slight warming may be natural variation. Moreover, the whole notion of "on record" is a bit misleading. Precise temperature data go back only about 100 years, to the late nineteenth century. At that time, the climate was recovering from the Little Ice Age, which lasted from about 1500 to about 1850. Since the "on record" period begins at a point when the earth was somewhat cool, perhaps a warming trend is no surprise. The doomsday cohort often declares that, during the '90s, temperatures were warmer than at any other time in the past 100,000 years. But no one really knows; the IPCC says that "[d]ata prior to 1400 are too sparse to allow the reliable estimation of global mean temperature." The IPCC repeatedly cautions that there is no scientific answer for what has caused the mild warming observed in this century. All we can be sure of, the organization says, is that human activity now plays some role in climate. Combustion of fossil fuels is not the sole concern. Deforestation, mainly in the developing world, has become a greenhouse influence. Some human activity is positive in climate terms: high-yield agriculture and managed forestry subtract vast volumes of greenhouse gases from the air by accelerating crop and tree growth. On balance, however, the IPCC suggests, society now influences climate in ways that won't be to our liking. Global climate has consistently been favorable to agriculture during the dramatic twentieth-century population increase. If human action now risks disturbing a climate favorable to humans, that may be all we need know to take greenhouse emissions seriously as a policy concern. Added to the general likelihood that human activity now plays a role in climate are two research findings of considerable power. One, by Thomas Karl, head of the NCDC, shows that, over the long term, incidence of heavy rain is increasing. At the turn of the century, about eight percent of U.S. annual precipitation occurred during downpours, and now ten percent does; this is not striking as a percentage, but it is a long-term distinction that may mean more than individual temperature spikes. A decade ago Karl ranked among the most important greenhouse effect skeptics, often pointing out how poorly global warming computer predictions squared with observed climate. In recent years Karl has become a greenhouse moderate, as observational evidence begins to strengthen. A second important research finding is that the "frost free" season in the United States is now eleven days longer than it was in the 1950s. This trend, too, is long-term and thus more likely to be significant. Ellen Cooter and Sharon LeDuc, researchers at NOAA, have found that, in recent decades, spring, as reckoned by the night of the last hard freeze, has been arriving one day earlier every three years. Of course, most people want spring to come earlier, and the longer the frost-free season is, the happier farmers are. The mild warming of this century surely contributed to the postwar global flowering of agriculture, which has staved off widely predicted Malthusian catastrophes. Research shows that the warming that has occurred so far has come mainly in the form of less-cold nighttime lows in winter, rather than hotter daytime highs in summer; less-cold winter nights are a boon, moderating energy demand. The fear is that an artificial greenhouse effect will not follow its current course. In the rainfall and early spring studies may reside a warning that changing climate patterns may begin to harm agriculture--for instance, by shifting precipitation away from currently tilled regions. Higher summertime daylight maximums may eventually be in store, scorching crops and increasing energy demand. There could be nasty surprises no one currently projects. The downpour and early-spring findings are not conclusive but are sufficiently worrisome; they seem to be part of the reason Republican presidential candidate George W. Bush recently said, "I believe there is global warming." New patterns of rain and frost might have artificial causes, natural causes, or some combination of the two. Artificial causes are the only ones we can do anything about. Increasing scientific indication of climate change has not led to policy action, in part because the global warming debate continues to be conducted as a partisan extravaganza, one in which participants of all stripes are sometimes most interested in name-calling and fund-raising. Anamorphosis rules. Alarmists make a point of citing the IPCC's scary upper-bound projection of a six-degree future warming, rather than the number the organization favors--its "best estimate" of about half that amount. Naysayers harp on the literalist point that, because climate dynamics are poorly understood, it is impossible to be certain how artificial greenhouse gases interact with their natural counterparts. But common sense tells us that billions of tons of compounds added to the air must have some effect. At its most frivolous, the greenhouse debate is dragged down by a sort of "science lite." The George C. Marshall Institute in Washington publishes anti-greenhouse-effect studies designed to resemble mainstream scientific research but closer in content to editorial writing. One prominent greenhouse Calamity Jane is Michael Oppenheimer of the Environmental Defense Fund (EDF), identified in New York Times quotes as a "scientist" despite the fact that he has no academic affiliation and is a full-time employee of an advocacy organization with a fund raising interest in greenhouse alarm. A decade ago, Oppenheimer wrote that, by now, the greenhouse effect could cause a catastrophic global drought that would destroy the U.S. economy and create dust storms so severe that highways would become impassable. Oppenheimer holds the EDF's Barbra Streisand Global Atmospheric Change Chair, which somehow never turns up in his Times identification. There's a certain amusement value in watching the doomsayers and the naysayers slug it out, but the overwrought views that tend to dominate global warming debate divert attention from the fact that middle ground compromises are possible. The Pew Center on Global Climate Change, a middle ground group funded by the Philadelphia philanthropy, has signed up American Electric Power, Boeing, BP Amoco, DuPont, Lockheed Martin, Maytag, Pacific Gas and Electric, Shell, Sunoco, Toyota, Weyerhaeuser, Whirlpool, and other major corporations in a coalition that accepts the need for greenhouse action and advocates moderate policy steps; this list even includes a few oil companies. Some corporate members of the Pew Center have already committed to reducing greenhouse emissions in advance of any law to that effect. It is the views of centrists such as those at the Pew Center, not the fandangos on the extremes, that ought to be drawing the attention of the media and the policy world. If moderate policy steps are now justified, what should they be? Figures on the green left have called for such drastic actions as an immediate one-half reduction in global greenhouse emissions, which would be possible only by prohibiting whole categories of present activity--automobile ownership, for instance. Figures on the brown right have suggested that even judicious progress against greenhouse gases would have ruinous economic consequences. Middle ground responses are possible, however. The most important centrist point is that greenhouse gas reductions should be sought via energy efficiency. Energy efficiency not only pays for itself in the long run by moderating fuel demand, but research into new forms of clean energy will aid the process of preparing the United States for the post-petroleum economy that must come regardless of whether global temperatures go up or down. Between 1973 and 1986, when oil prices were a national concern, U.S. energy consumption did not increase, while the GNP grew by one-third; this indicates that it is entirely possible to use fossil fuels more efficiently without economic sacrifice. But, in recent years, U.S. energy efficiency gains have stopped. The sport utility vehicle fad is the most obvious reason--this year, overall fuel economy of new vehicles fell to its lowest level in 20 years. Lack of progress on energy efficiency not only leads to avoidable greenhouse gases, it also sustains demand for imported oil, which is not in the U.S. security interest. A renewed commitment to advanced energy technology would both restrain greenhouse gases and be bad news for OPEC, which seems a desirable combination. The most direct way to encourage clean-energy innovation would be to tax emissions of carbon dioxide and methane, the chief greenhouse gases. Classical economics generally prefers pollution taxes to complicated regulatory schemes in which government imposes specific technical standards--if you're just being taxed, it's up to you to set your own priorities, deciding for yourself, say, whether to switch from an SUV to a family sedan that gets more miles per gallon. Economists, including Martin Feldstein, chairman of the Council of Economic Advisors during the Reagan administration, have said they support greenhouse reduction via revenue-neutral fossil-fuel taxes, meaning carbon charges coupled with dollar-for-dollar reductions in other taxes. In 1997, a group that included six Nobel Prize winning economists signed a statement saying that moderate reductions in greenhouse gases could be achieved in this fashion without causing economic harm. An example of a successful market-based approach to pollution control comes from the acid rain trading program, enacted in 1990 under President Bush. The program instructed power utilities to reduce acid rain but allowed them to trade emission rights. When the law was passed, rights for a ton of acid rain emissions were expected to sell for about $1,500 each. Instead, today the permits sell for about $90 each, saving billions of dollars annually in control costs, while national acid rain levels are declining more rapidly than expected. When the program was established, the high estimated price of progress was based on control technology available at the time. As soon as they were given a financial incentive to devise anti-pollution ideas, utilities proved highly adept at discovering new, affordable ways to cut emissions. Granting companies the right to trade emissions permits made acid rain reduction a business opportunity rather than a burden. This program creates reason to hope that moderate greenhouse gas reductions could be achieved by a similarly successful initiative--ideally, by a revenue-neutral carbon tax with a trading program. Resources for the Future (RFF), the centrist Washington think tank that designed and championed the acid rain emissions trading program, has now thrown its weight behind a similar approach to global warming reform. In the RFF proposal, rights to carbon emissions would be traded at $25 a ton, which initially would translate, for consumers, into about six cents per gallon of gasoline. Carbon trading would stay at this level until Congress was satisfied that the system was working, at which point the carbon charge would begin to rise annually. Polls show that a majority of Americans say they would pay somewhat more for gasoline in order to combat greenhouse gases; if other taxes were reduced in the process, the program might be politically realistic. What RFF proposes is what some economists call "shaping" a market--create a situation in which a needed innovation will be rewarded and then see what the market comes up with. "The market is not inspiring greenhouse gas control because there is presently no way anyone can buy the benefits of preventing climate change," notes Kenneth Arrow, a Nobel-winning economist. Moderately priced carbon trading could change that equation. It might also trigger new energy technology that would create the next great economic boom category. John Browne, CEO of BP Amoco, has called it realistic to think that, by the year 2050, half the world's energy could be supplied by nonpolluting, renewable sources. Calculations show that much of the country's energy needs could be supplied by solar-electric conversion, using technology that is now working at the laboratory level and is not terribly far from applied use. Full-sized cars powered by zero-emissions "fuel cells" could realize the equivalent of 100 miles per gallon and are not far off: Chrysler, Ford, Toyota, and Mercedes-Benz are all working on practical fuel-cell cars. Robert Socolow, a professor of engineering at Princeton University, notes that it is even becoming technologically realistic to "decarbonize" fossil fuels, using them with little or no greenhouse emissions. Converting to cleaner and more efficient energy will entail huge capital costs and take many years. Because of this, "you don't lose much by moving slowly, compared to what you can gain if technology and programs are used wisely," notes Robert Stavins, a resource economist at Harvard University. Global warming is a long-term problem: if it is real, it will develop across decades, while any fix will require decades to reach its full effect. Rushing headlong into sweeping, binding programs, on the other hand, might disrupt prosperity. The University of Illinois's Schlesinger, who conducts climate research and also writes policy analysis in conjunction with the Rand Corporation, has for years been advocating an "adaptive" greenhouse response--enact mild restrictions, watch to determine whether they inspire innovation, track the science to see if it gets stronger, and then adjust future policies based on whatever is learned. This thinking is right for global warming because, Schlesinger says, "we don't know what energy innovations are practical, and we don't know how much harm global warming will do. It's a policy area where we have no idea what either the costs or the benefits will be." Adaptive response is thus a political median: it assumes that some degree of future warming will be inevitable but also that, over the long run, technology and policy can bring the problem under control and eventually reverse any harm. Schlesinger proposed this gradualist approach in an influential paper in the late '80s. Then-Senator Al Gore denounced the idea as "irresponsible" for not embracing immediate, sweeping rules. Today, adaptive response is the Clinton administration's global warming policy in the form of the proposed Kyoto Protocol, which is currently where the global warming rubber meets the road. At Kyoto, Japan, in 1997, nations agreed in principle to a treaty whose essence defies easy phrasing: that, by the year 2012, the industrialized world would reduce greenhouse gas emissions to 5.2 percent below the level of 1990. As its share, the United States agreed in principle to cut greenhouse emissions to seven percent below the 1990 level. In 2012, the Kyoto Protocol says, the situation will be reassessed based on new knowledge. This is "adaptive response" thinking all the way, and Gore now firmly favors it. The Kyoto protocol allows industrial nations to obtain part of their cutbacks by reducing emissions in the developing world and then buying the credits: that is, through international carbon trading. Reductions will be much cheaper in developing nations. Chinese coal-fired power plants, for example, run at less than ten percent thermal efficiency, versus almost 40 percent for plants in the United States; retrofitting such plants with Western technology would cut global warming emissions for a lower price per avoided ton than anything an American generating station might do. International trading is also important because, although the industrialized world has so far put the bulk of artificial warming gases into the air, the developing world recently became the leading source of greenhouse emissions. China already burns more coal than the United States does, and, at current rates, within two decades it will surpass America to become the number one source of greenhouse gases. Many Republicans have denounced Kyoto as giving away economic sovereignty. They rightly point out that the treaty contains a fatal-error clause: If the protocol ever goes into force, it could be amended by a three-quarters vote of the parties, with the amendments binding. This means the developing nations, which outnumber the West by roughly three-quarters, could vote to order the United States to stop using petroleum. Obviously any future attempt by Kyoto parties to dictate the economic policy of the United States would be ignored, but then why sign up for a treaty whose provisions you are planning to disregard? If this clause can't be negotiated out of the protocol, it's back to the drawing board. Before the protocol was initialed in Japan, the Senate voted 95-0 to reject Kyoto unless it restricts greenhouse gas emissions from the developing world, which it does not; no greenhouse gas limits are imposed on developing nations. President Clinton has not submitted the treaty to the Senate for ratification and says he will not until it imposes "meaningful" restrictions on developing nations; currently, this places the protocol in limbo. If the 2000 presidential race pits Gore against Bush, the treaty may be a prominent issue, since Bush has said he believes global warming exists but that Kyoto would cost American jobs. Initially cool to the Kyoto concept, developing nations are becoming enthusiastic as they realize potential commercial gains. Sunita Narain, an official of India's Centre for Science and Environment, recently wrote that the treaty "is increasingly being understood not as an environmental agreement but a trading agreement." A theory has arisen among conservatives that Kyoto is a backdoor attempt to start a new foreign-assistance initiative, channeling capital and technology to developing nations via free market carbon trades. The protocol would indeed improve the fortunes of the developing world, and what's wrong with that? A decline of pollution from the developing world would have both humanitarian value and global benefits. For its part, when Kyoto was happening, the European Union made numerous greener-than-thou pronouncements about how the United States was the world's font of pollution and enlightened Europe would act decisively to save the world; for this Europe was fondly praised in the U.S. press. Yet no EU member state has ratified Kyoto. The slaps at the United States haven't stopped, though. Last spring, the EU condemned international carbon trading. Europe's economic ministers have calculated that, if there is no trading, this will harm the energy-intensive U.S. economy more than it would European economies--and forget the ostensible goal of global greenhouse gas reduction. Beyond the political jockeying are what seem to be two intense objections to Kyoto. The first is that, even if all Western nations smile and ratify, as the West decreases greenhouse emissions, developing-world emissions will assiduously increase. Unrestricted under Kyoto, China, through the year 2012, is expected to add five tons of global warming gases to the air for every one the United States takes out. The second, seemingly killer, objection is that, even if the Kyoto rules realize complete success, total concentration of atmospheric greenhouse gases will diminish by only one percent relative to the anticipated 2012 figure. Ninety-nine percent of the problem will still hang in the air. Despite these concerns, some version of Kyoto is still desirable, assuming the treaty's faults can be repaired through negotiation. If an international agreement serves only to diminish greenhouse buildup by one percent, that is preferable to allowing global warming gases to continue to accumulate without limitation. Early technical breakthroughs are usually the hard ones. The nation may find that breakthroughs obtained in trying to meet early, modest greenhouse goals make possible technology that not only serves far-reaching goals but helps move society toward the clean-energy economy that must be achieved regardless of what the global thermostat does. We may also find that involving the West in cleanup of the developing world promotes the human enterprise by reducing global pollution and improving living conditions for several billion people. Basing this involvement on business-to business trading rather than on government-to-government aid should help accelerate the adoption of market economies in the nations that need them most. Toss in the fact that whoever masters clean energy may have a significant competitive advantage in twenty-first-century economics, and moderate greenhouse reform not only seems justified--it looks like an exciting opportunity for a nation whose world leadership is based on being on the cutting edge of technology and market economics. Gregg Easterbrook is a contributing editor for The New Republic specializing in public policy issues.